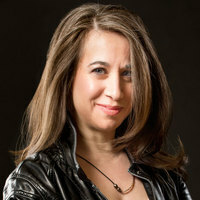 Jenny Milchman is the USA Today bestselling author of three novels, as well as the forthcoming Wicked River. Her books have won the Mary Higgins Clark and Silver Falchion awards, been praised by the New York Times, San Francisco Review of Books, the AP, and many other publications. Jenny has given over five hundred workshops and talks on the writing and publishing process. She sits on the board of directors of International Thriller Writers, is a member of the Sisters in Crime speakers bureau, and founded Take Your Child to a Bookstore Day, which is celebrated annually in all fifty states and on five continents. To ask Jenny Milchman questions, please sign up. Yes, please introduce him to the Cousins' Book Club! We will all struggle through this together?
" Hi everyone! I'm a new member, a reader first and an author second, chronologically speaking :) The first true mystery I remember reading--after all t Hi everyone! I'm a new member, a reader first and an author second, chronologically speaking :) The first true mystery I remember reading--after all the Nancy Drews and Trixie Beldens, natch--is Doris Miles Disney's WINIFRED. This book still has the best last line of any I've ever read. I write mystery/thriller blends, with an emphasis on the suspense. I'm interested in the mystery of small town life, especially...how we imbue a place with drama, then become its victims and its victors. Jenny voted for The Radium Girls: The Dark Story of America's Shining Women as Best History & Biography in the Semifinal Round of the 2017 Goodreads Choice Awards. "Loved the cover, the audiobook, the narrators, the author, and the book! April BoTM Nominations "Psychological Thrillers"
Q & A or discussion about the novel, RADIUM HALOS, or about the Radium Dial Painters. Everyone is welcome! People who love to read a good mystery. Your book AS NIGHT FALLS is on my DorothyL "Best Books Read in 2015" list. John...my goodness. I hardly know what to say. I have read your R&R posts (reviews and recipes, that is) for so many years. To be a John Bohnert Best Of is better than any Washington Post list or whatever is circulating at the moment. I can't WAIT until this book comes out! If you need early reviews, I'm offering!!! I LOVED The Cover of Snow!!!! I have Ruin Falls to read that I missed! Congratulations on another TWO great books!!! Penelope wrote: "Hi Jenny! Nice to see you here. :^)"
Hi Pen, so nice to see you here, too! Thanks for sending a friend request to this fellow Goodreads author and for befriending me elsewhere!" Thanks for sending a friend request to this fellow Goodreads author and for befriending me elsewhere! Peg wrote: "Good to see you here, Jenny!" Good to see you here, Jenny!